Marcel Dinger is the Founding Chief Executive Officer of Genome.One, former Head of the Kinghorn Centre for Clinical Genomics (KCCG) and conjoint Associate Professor at St Vincents Clinical School of UNSW Sydney. As CEO of Genome.One, he brought together his expertise in informatics, biology and business to manage and direct a world-class clinical genomics service. As Head of KCCG, Marcel led a translational research laboratory that aims to unlock the clinical value of noncoding regions of the genome. He has published more than >100 papers that have collectively been cited >13,000 times. 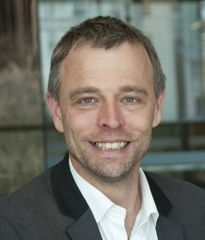 Prior to joining the Garvan Institute, Marcel headed the Cancer Transcriptomics laboratory at the Diamantina Institute at the University of Queensland. Marcel undertook his postdoctoral studies at the Institute for Molecular Bioscience where he studied the role of long noncoding RNAs in mammalian development and disease. During his postdoc, Marcel led a number of key studies demonstrating the dynamic and specific expression of long noncoding RNAs that prompted extensive functional studies of these transcripts that were commonly assumed to be “junk”. Marcel has worked in informatics and genomics since 1998 in both commercial and academic capacities. As an entrepreneur in the early 2000s, Marcel established and grew three highly-profitable businesses; (i) a software company that produced DNA sequence analysis software, (ii) an information company that licensed databases to 10,000s of libraries and (iii) a web hosting company that became the fastest growing in New Zealand.